With Washington’s withdrawal from the Iran nuclear agreement, President Donald Trump may have just made it more difficult to cut a deal with Pyongyang and alienated Asian allies, just as preparations for a landmark summit with North Korean leader Kim Jong Un ramp up. Trump wants North Korea to give up its nuclear weapons, but on Tuesday he walked away from a similar deal — one that called on Iran to rein in its nuclear ambitions. 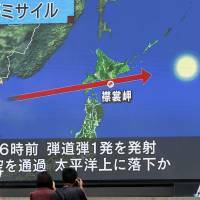 Tokyo on Wednesday expressed regret over the U.S. decision. “It would be regrettable if (the U.S. pullout) has a major impact to the extent of making it difficult to maintain the (Iran) nuclear agreement,” Foreign Minister Taro Kono said in a statement. “We hope that the countries involved will continue to deal with the issue in a constructive manner,” Kono said, adding that Japan will work closely with them to try to keep the deal on track. Japan, which has expressed support for the agreement, known formally as the Joint Comprehensive Plan of Action (JCPOA), will carefully analyze the implications of the U.S. announcement and closely follow developments, the statement said. 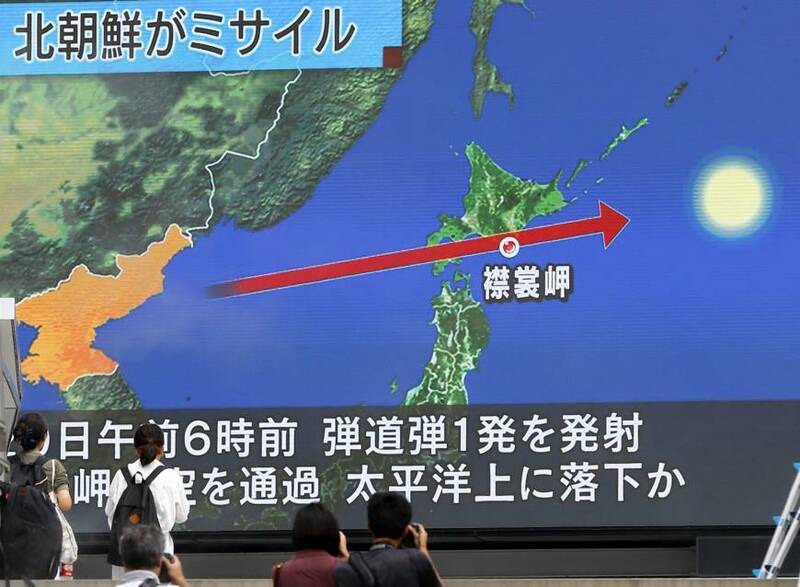 The North Korea nuclear crisis has been a major issue for Prime Minister Shinzo Abe, and government officials will likely be watching closely for any indication that U.S. withdrawal from the Iran deal will make it harder to strike a deal with the North. To critics of Trump, ditching the Iran agreement will only show Kim that the U.S. can’t be trusted on any deal. Yet the president believes he can turn that argument on its head by using the withdrawal to show that he is a man who keeps his promises — including his pledge to walk away from an agreement with Tehran that he has long considered flawed. The signal from Trump was clear: After the initial bluster fades, the president is betting Iran will come back to the negotiating table. And that North Korea will stay there. The U.S. has built a global coalition behind a crippling sanctions regime against North Korea, a move the administration believes was key to the regime’s recent turnaround and its announced willingness to entertain giving up its nuclear weapons. Not by coincidence, Trump’s Iran announcement came with a pointed aside that Secretary of State Mike Pompeo was en route to Pyongyang to work out details of a planned U.S.-North Korea summit. Tuesday’s move embodies the Trump administration’s approach to the world: a disregard for hand-wringing from Democrats, allies abroad and moderate Republicans that the U.S. is abandoning its global leadership. As the world’s largest economy and global military power, the administration bets other countries will do business with it — and bow to its demands when necessary. That applies to Iran, and also to other global hot spots, chiefly North Korea. As Trump made clear, administration officials have never bought the argument that reneging on the Iran deal would weaken its position with North Korea. “I don’t think Kim Jong Un is staring at the Iran deal and saying, ‘Oh goodness, if they get out of that deal, I won’t talk to the Americans anymore,’ ” Pompeo told reporters earlier this month. “There are higher priorities that he is more concerned about than whether or not the Americans stay” in the Iran accord. But Trump’s approach is fraught with risk. For one, North Korea is already believed to have produced dozens of nuclear weapons, while Iran doesn’t yet have that capability. And in agreeing to meet with Trump, North Korea still hasn’t committed to anything concrete — or anything that it hasn’t promised in the past. Some experts say Pyongyang will almost certainly view Trump’s withdrawal from the Iran deal with suspicion. “He has raised the bar for success with North Korea, probably to an impossibly high degree,” he said. “Actually, if North Korea were to accept the same degree of limits and intrusive verification measures required under the JCPOA, it would be a remarkably good deal for America and its allies. But now any North Korea deal has to be even better than that. Van Jackson, a North Korea expert and former policy adviser in the U.S. office of the secretary of defense, said that while Trump’s decision on the Iran agreement was a secondary concern to Pyongyang, it would reinforce their suspicious that the U.S. is an untrustworthy partner. “Upholding the Iran deal doesn’t make it any more likely to reach a deal with North Korea, but walking away from the Iran deal is confirmation bias for North Korea — Kim already has good reason not to trust U.S. assurances, and the end of the Iran deal simply confirms that,” said Jackson, who is currently a senior lecturer on international relations at Victoria University of Wellington in New Zealand. More importantly, Jackson said, Trump’s pullout from the Iran accord would do serious and lasting damage to the U.S. alliances. “For Japan and South Korea, they’re not directly affected by Trump’s withdrawal … but because that makes a North Korea deal even less likely, it ultimately leaves Northeast Asia worse off,” he said. Who are the U.S. citizens held by North Korea?